Approximately one year ago, Leon Draisaitl signed an eight-year contract worth an average of $8.5 million per season. At the time there were a number of insiders and fans that felt the contract might have been an overpayment. Seasons of 55 points and 77 points prior to the signing were good (leaning on great), but there were doubts Draisaitl would be able to consistently produce at a level worthy of one of the higher contracts in the NHL. The fear was, as a restricted free agent, he was simply asking too much. 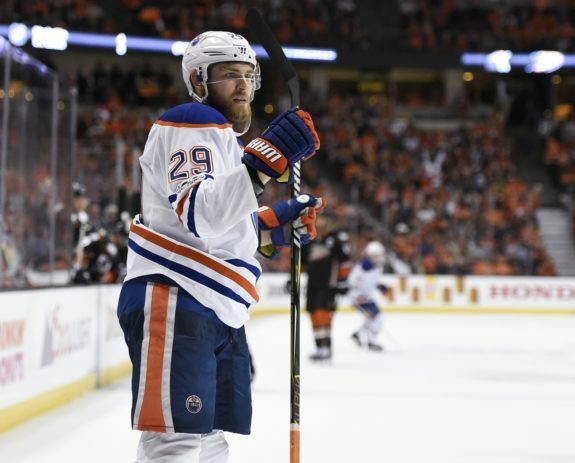 Today, Draisaitl is not just worthy of the price tag, a strong argument can be made his deal is a value deal, a solid bet or even a steal depending on the measuring stick you use to make your comparison. Sure, there were players last season in the NHL who produced more offense and made less money. Those sort of outliers come with the territory. Names like Nathan MacKinnon ($6.35), Taylor Hall ($6.0) and Blake Wheeler ($5.6), are just a few examples of players who blew their deals out of the water in terms of value. But, of those forwards, one had the season of a lifetime — MacKinnon improved by 34 points over his next best season — and both Hall and Wheeler took significant steps extremely close to a contract year where they’ll see new deals that will potentially bump their salaries dramatically. Should Wheeler, 31, get a long-term deal, he can’t possibly live up to the money he’s about to receive over the duration of that deal (he too saw a tremendously successful season after never having achieved those totals before) and Hall, 26, should provide tremendous production, but the New Jersey Devils will be paying for every bit of it. There are other names that can and potentially should be included in the conversation here, but what’s important to look at is what Draisaitl brings to the Oilers — consistently. Then it’s important to look at what that production is worth in today’s NHL. Since coming into the league, Draisaitl has been about as steady as one can be for a player who has less than four full seasons on his resume. He’s scored no less than 51 points when he plays more than 40 games and he’s got two seasons of over 70 points. He’s producing like a top-10 offensive player, often pushing his own line and despite a bit of a down season in 2017-18, only getting stronger. To suggest Draisaitl will be a consistent point-per-game forward is not a stretch, by any means. There’s a good chance he’s an 85-90 point player when he reaches his peak. He may even have a 100-point season packed in his future resume somewhere: remember, he’s only 22 years of age. Some may argue Draisaitl gets the benefit of playing alongside Connor McDavid. That’s fair. That said, this is not a negative. He’s produced both with McDavid and without him, showing he can play with stars on his line and make it work when he’s running the show alone. He’s still figuring out the NHL, his own game and growing into the player he’ll eventually become. What just two seasons ago seemed like a huge contract, is no longer that. No doubt, $8.5 million per season isn’t cheap and some will argue that dollar figure should automatically exclude Draisaitl from being considered among the Oilers or NHL’s best contracts. But, when it comes to average annual salary cap and if we exclude entry-level deals, he’s arguably offering among the most return for the fairest price. Outside of the Oilers organization, Draisaitl ranks ninth in pay for NHL for centers. Of the players who are paid more, he’s on par for similar if not better points than many of them and consistently outproducing some of the names ranked above him. 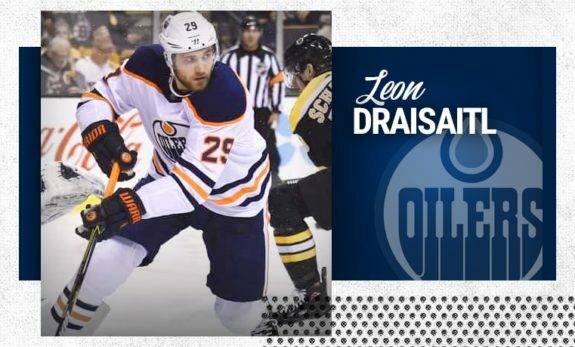 A recent survey by the NHL (obviously there are other metrics in which one could measure where Draisaitl ranks), suggests he’s 20th on the list of the NHL’s best centers in the league. Of the 19 players listed before him, he’s got either age or production on his side. In the top ten alone, he’s younger than Sidney Crosby, Evgeni Malkin, Anze Kopitar, Patrice Bergeron, Tyler Seguin, and John Tavares. Of those ten, he makes less money than four of them and will make less than six of them in the next two years. In the bottom ten, (where Draisaitl sits) he’s right on par, often making less or producing more. Perhaps Sean Couturier ($4.3) and Aleksander Barkov ($5.85) rate as the best value for the most production on the entire list of centers. Again, outliers will exist and 30 other teams can only wish they had Couturier’s contract on their books. There’s no denying Draisaitl is paid well. But, to argue that he’s overpaid is an argument that simply doesn’t compute. Related: Did Milan Lucic Put His Foot in His Mouth? Edmonton’s cap situation isn’t terribly good. That said, Draisaitl is certainly not part of the problem. Given the rate of player salaries jumping and free agents getting deals worth far more but for far less production, Draisaitl’s deal will continue to look better and better as seasons move forward. He’s a huge part of the Oilers future and until 2025, not anything the team will have to worry about. One can only imagine, what that contract today — which has to be considered fair at the least, a good deal by most and a value by many — would have looked like if the Oilers had signed it one year earlier. That was a real possibility.